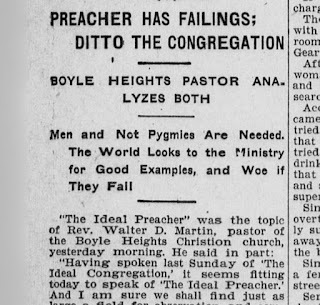 A headline one sees with some frequency, though not normally so bluntly put: "Preacher Has Failings; Ditto the Congregation." 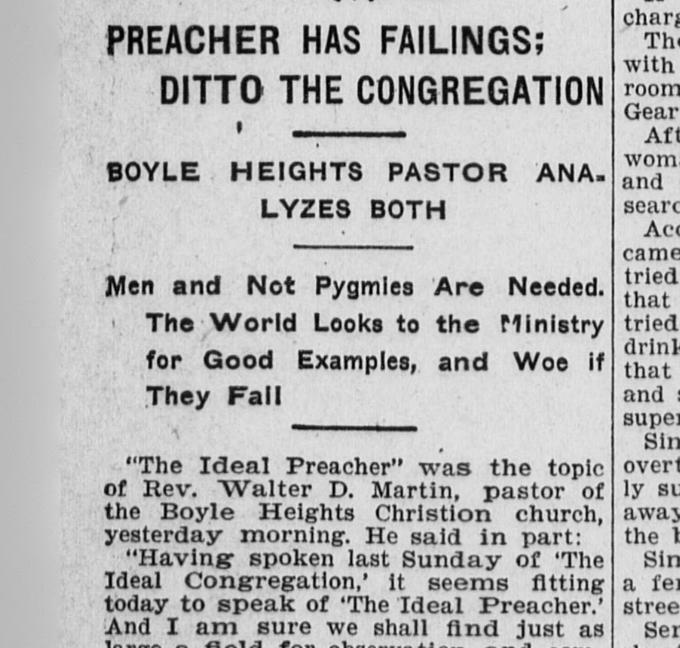 This story, a report on a sermon, comes from the Los Angeles Herald, and was published Feb. 12, 1906. It is not as sharp-edged as the headline.